Nokia has finally unveiled its first fully functional Android 7.0 Nougat-powered smartphone under HMD Global supervision that owns the rights to use and market Nokia's brand for Android-powered smartphones and tablets. The official "Nokia 6 Android Smartphone" is purely runs Android's latest stock mobile operating system i.e. "Nougat v7.0", instead of forked version, which they experimented and failed under Microsoft supervision. 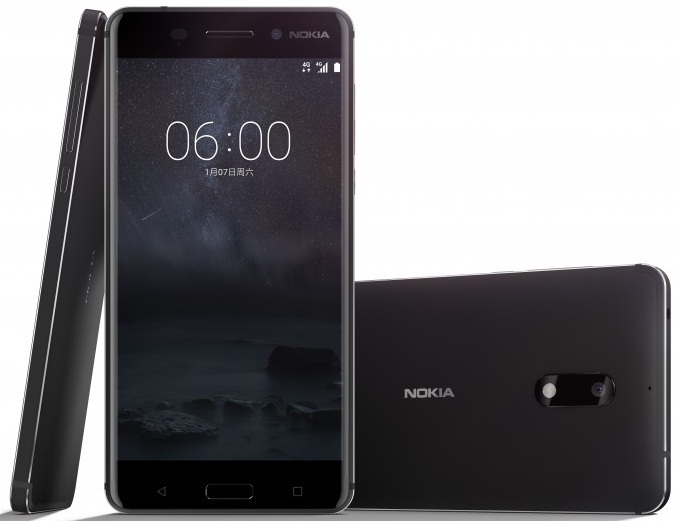 Nokia 6 is a mid-range device and initially it will only be available in Chinese market with a price tag of 1,699 CNY ($246 USD). All international user needs to wait further for low-range, mid-range, and high-range Android devices from Nokia and HMD Global. 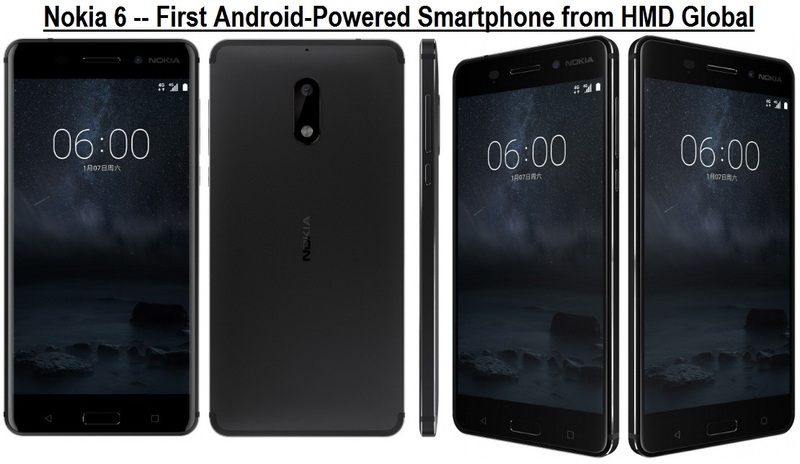 The very first Android-powered smartphone from HMD Global, the Finnish company under brand name Nokia has been manufactured by Foxconn, so that users can expect same high quality and standard device from Nokia. The Nokia 6 officially runs Google's Android platform with Google Play Store installed, and users can expect software updates as well directly from Nokia. Nokia 6 smartphone design is quite impressive, as it comes with full aluminum unibody which can reflects premium feel to users. Nokia 6 processor is powered by Snapdragon 430 processor with octa-core Cortex-A53 chipset and Adreno 505 GPU. Nokia 6 also comes with a solid 4GB of RAM for multitasking and 64GB of internal storage capacity. The front camera is 8 mega-pixels, while back camera is 16 mega-pixels, if we talk about display screen, so it has 5.5-inch HD 1080p screen with 2.5D Corning Gorilla Glass safety. Nokia 6 also has Fingerprint sensor at front side for faster and better security. The battery capacity is still not yet confirmed, but it's expected to have a 3000 mAh battery with 32 days of stand-by backup time. 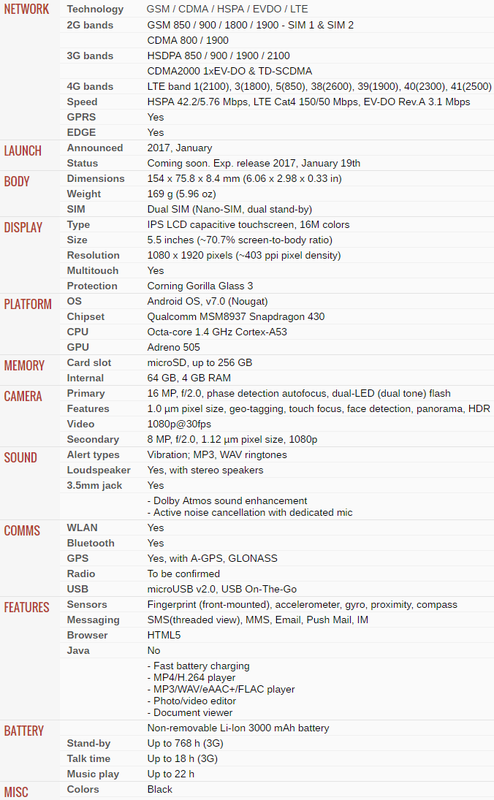 The official core features and specifications of Nokia 6 Android-powered phone are as follows. The mid-range Android-powered Nokia 6 Smartphone will be initially and exclusively available only in China through Chinese online retailer JD.com from 1Q of Year 2017. International release is soon expected in this year 2017, as per HMD Global spokesman. The official price of Nokia 6 in Chinese market is 1,699 CNY or internationally $246 USD. At this initial stage, we can't predict whether Nokia 6 can compete with their global market leaders and competitors i.e. Apple and Samsung or Chinese market leaders i.e. Huawei, Xiaomi, and Oppo etc.